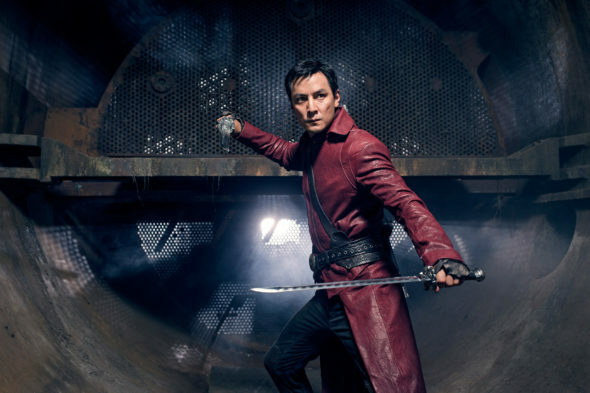 Into the Badlands will return to AMC with its second season this spring, and the focus will be fully on Sunny and his journey on the episodes ahead. Are you excited for season two of Into the Badlands? Tell us what you think. I enjoy the series. I remember the “KungFu” series from the 70S. It was spectacular, and “Into the Baflands,” is also very spectacular with the Martial Arts. Interested in exploring the world m.k. came from, and are they secretly living in a post-modern world? I’m so reday for the next series! Great Fu and Story Line With Possibilities of our own future. The great equalizer, our world without guns! ..think. Finally! Love this show. Can’t wait to see season 2!!!! Can’t wait.I really like the show. Please hurry. Season 2 needs to hurry up! I can not wait for season 2. I hope Sunny and Veil can work things out.